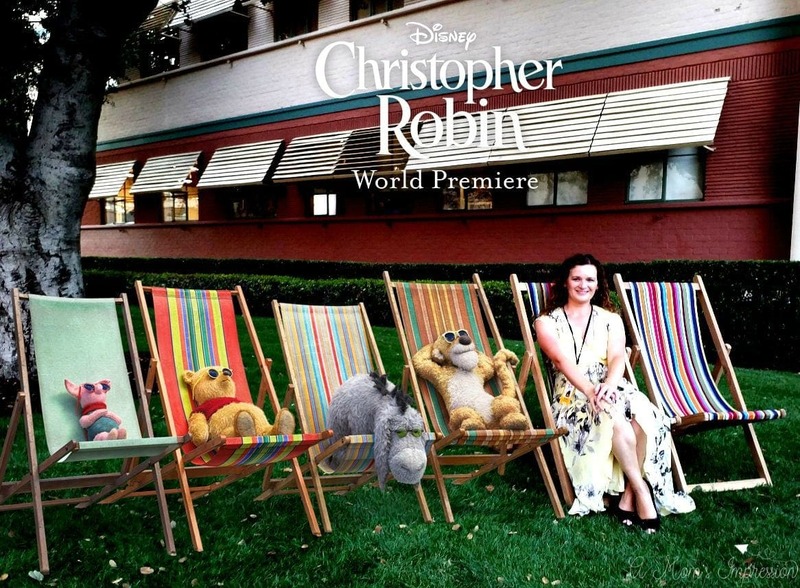 The new Christopher Robin movie is coming out August 3rd! 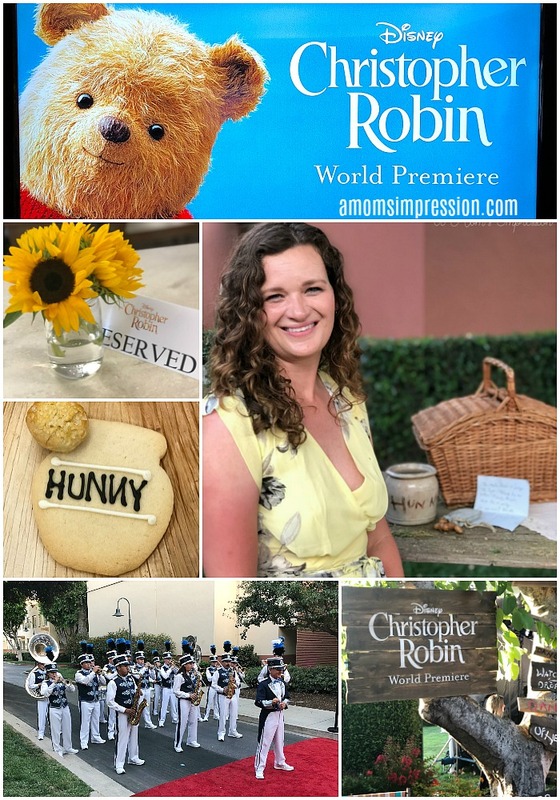 Follow along as I walk the red carpet at the world premiere of the Christopher Robin movie! I am still pinching myself making sure that the past few days really did happen. 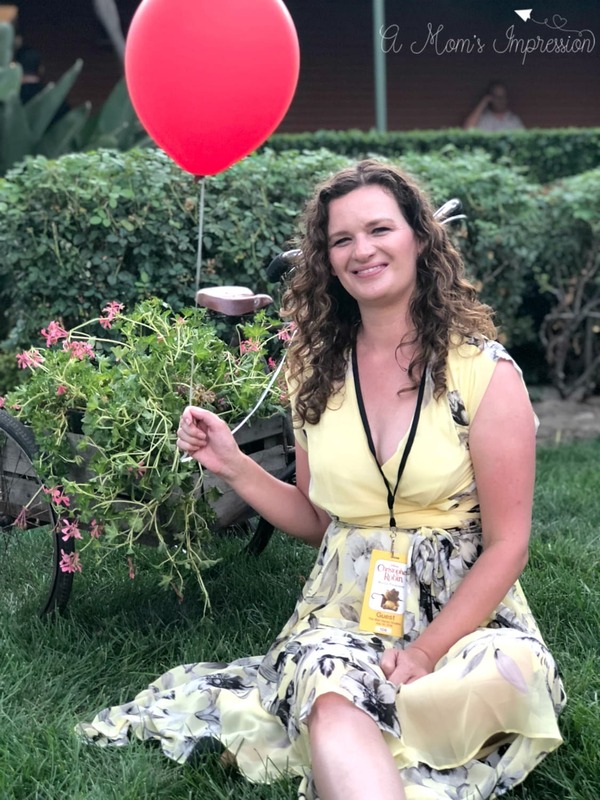 I did, in fact, attend the Christopher Robin Movie red carpet premiere earlier this week and I am very excited to share my experience with everyone. 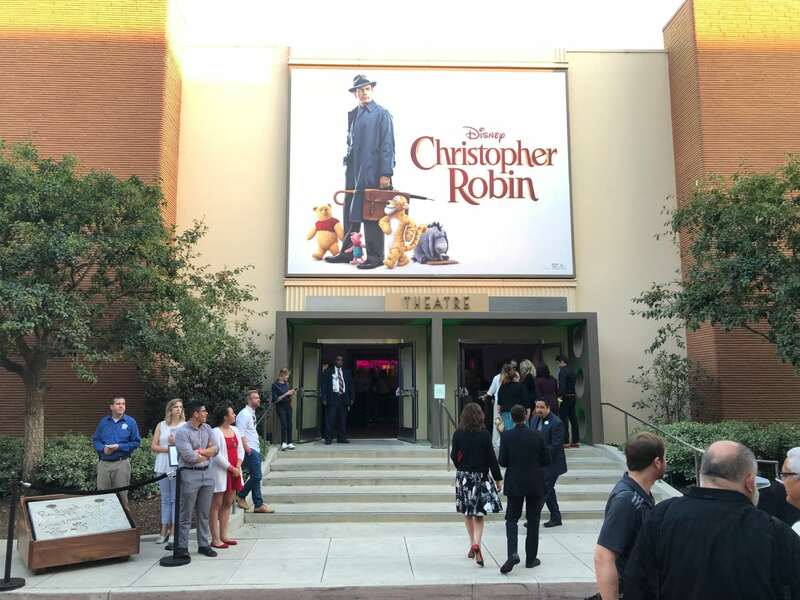 I have never been to a movie premiere on the Disney Lot before, so I knew right away I was in for a treat. I loved the more laid back atmosphere and the feeling of family that this particular premiere provided. 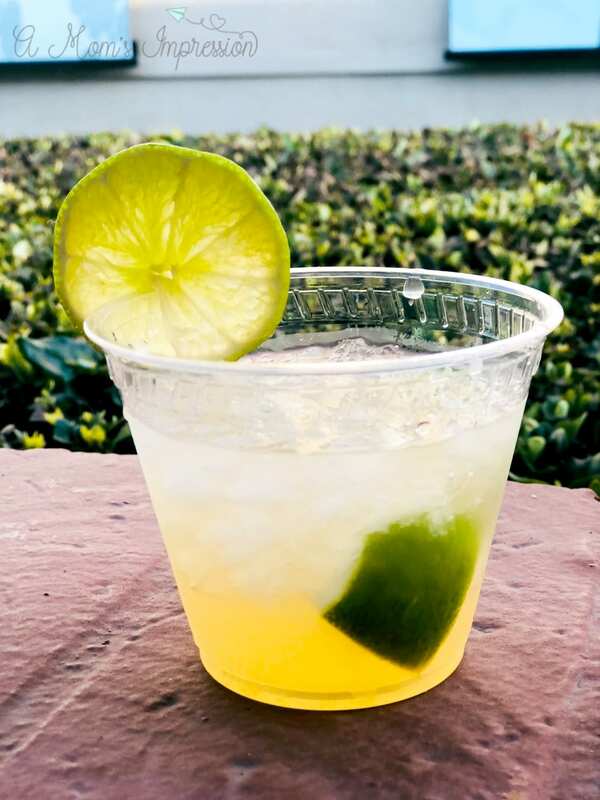 We were able to walk around the campus and participate in fun activities and photo opportunities all while enjoying some fun themed beverages and food. 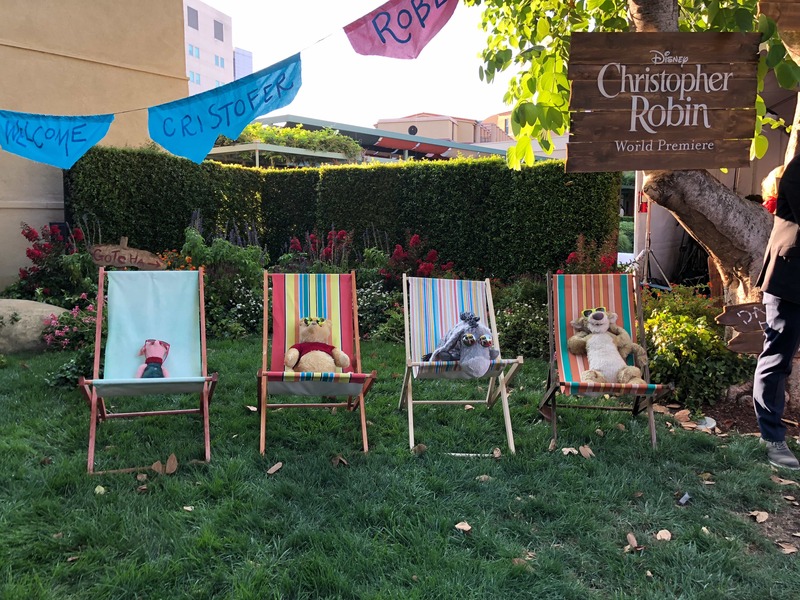 Like all movie premieres, the Christopher Robin red carpet was filled with celebrities. 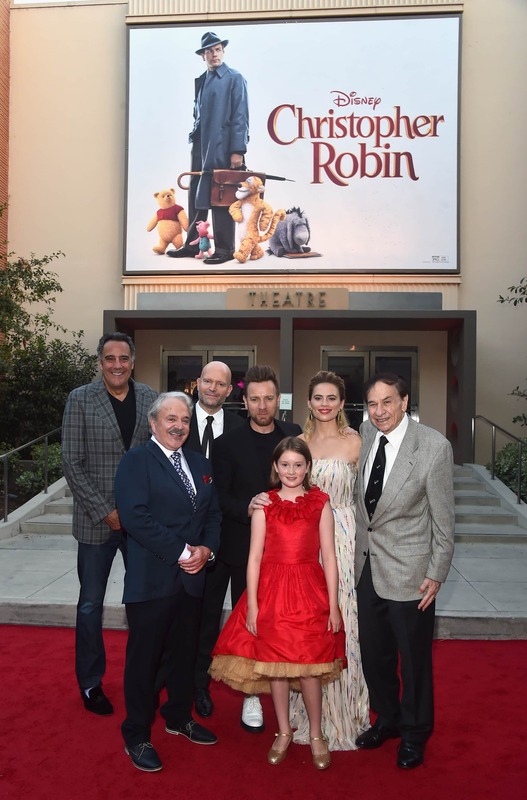 The entire cast and crew were there including Ewan McGregor, Hayley Atwell, Bronte Carmichael, director Marc Forster, and the voice of Winnie the Pooh Jim Cummings. Over the next couple of weeks, I will share my interviews with this amazing group of talent so be sure to come back to check it out! I got a little star struck with some of the other celebrities like my favorite bear Winnie the Pooh and his friends. I don’t usually ask for pictures with the talent but this time I made an exception! Seriously, these plushes from the movie were adorable. I was fortunate enough to find an Eeyore version to bring home to my daughter. They are flying off the shelves at Disney Stores and on Amazon so try to snag one if you can! 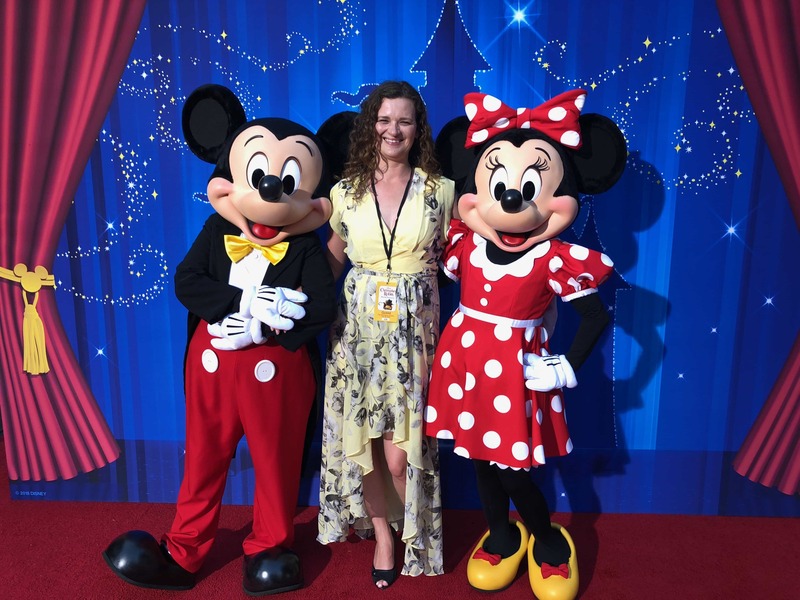 The celebrities also included a couple of very famous mice that took the time to snap a pic with me! 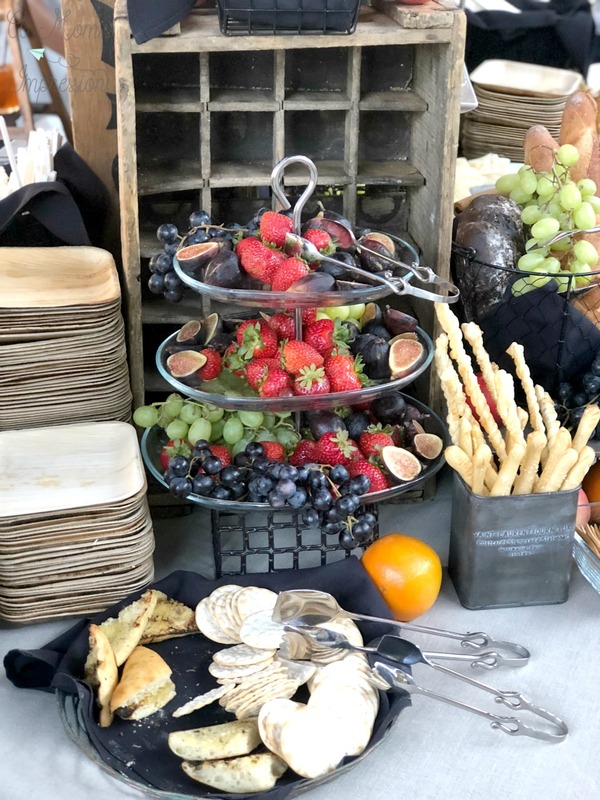 I love the food at premiere parties because they usually try to theme it to the movie. 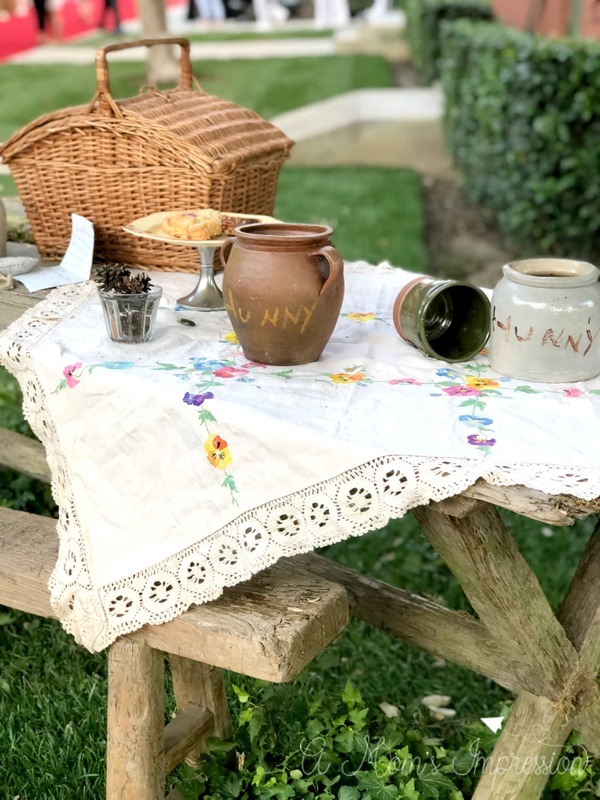 The Christopher Robin Movie included a couple picnic scenes so naturally, there was a picnic feel to the food at the party. What is a party without themed cocktails? 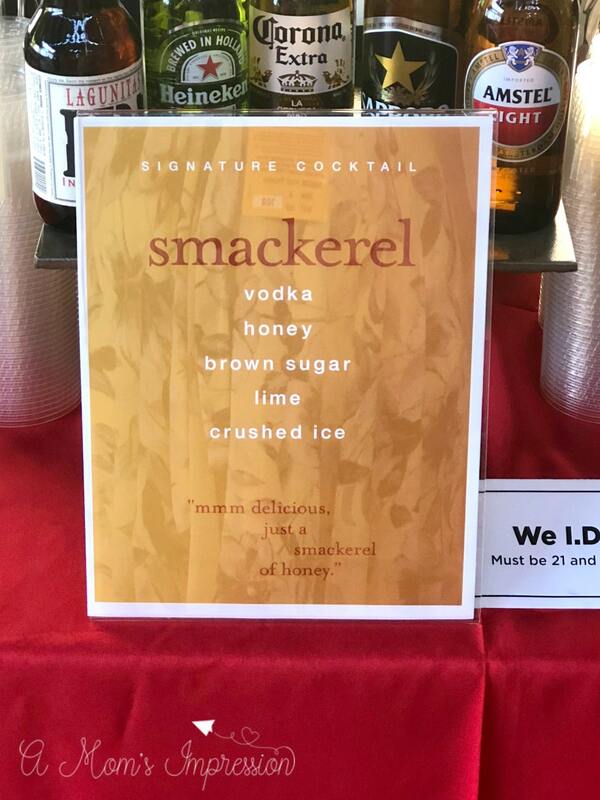 For the Christopher Robin movie, the signature cocktail was the Smackerel. I tried it and it was delicious! I could really taste the honey toward the end of my drink. My husband is going to try to recreate it for me here at home so I can relive my experience. I wish I could have photographed all of the food. There was a lot of comfort food type dishes like macaroni and cheese and fish and chips. There was also a very large assortment of desserts including these fun honey pot cookies. After we ate, we walked around the area to take photos of some of the fun setups that they created for the event. They had Madeline Robin’s bike on display with her red balloon attached so naturally, we had to stop to take a few pictures. Next, we visited the picnic table set up across the way. In the movie, there is a very similar picnic scene so we felt like we were apart of it. 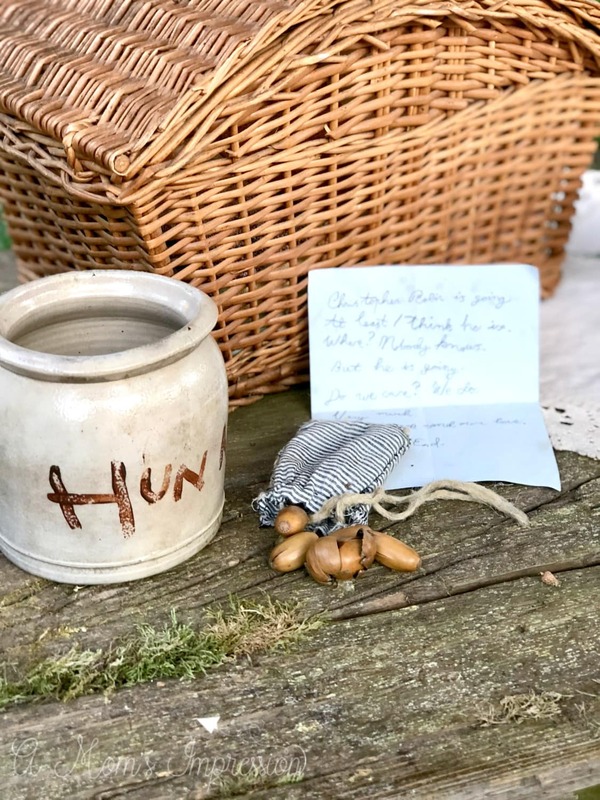 Complete with haycorns, honey jars and a sweet goodbye note to young Christopher Robin. 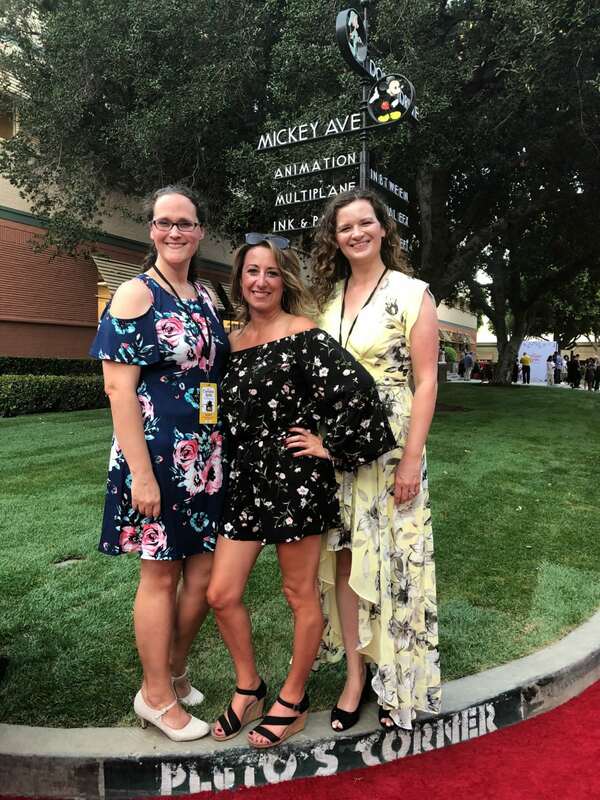 Before we could head on into the theater for the premiere we just had to get a picture on the very famous Pluto’s Corner. 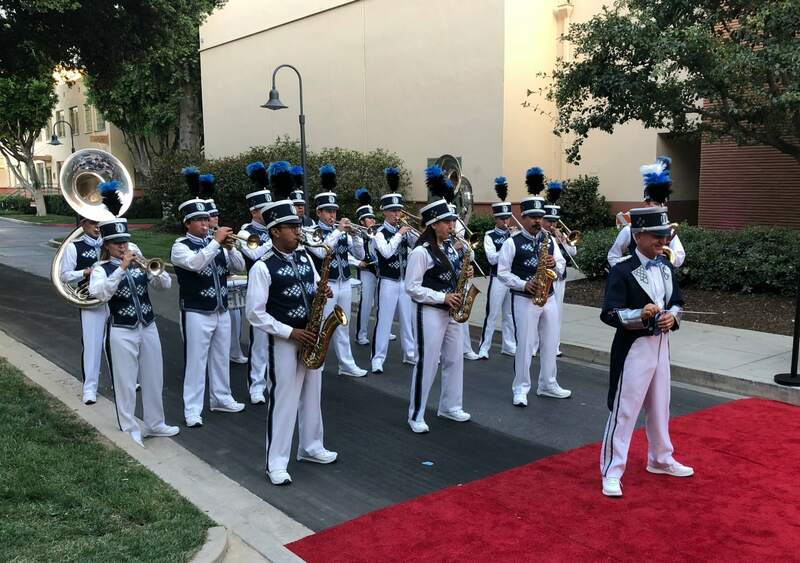 Throughout the lot, there were a couple of bands playing live music for guests. I loved hearing some of my favorite Disney toons played by the marching band. 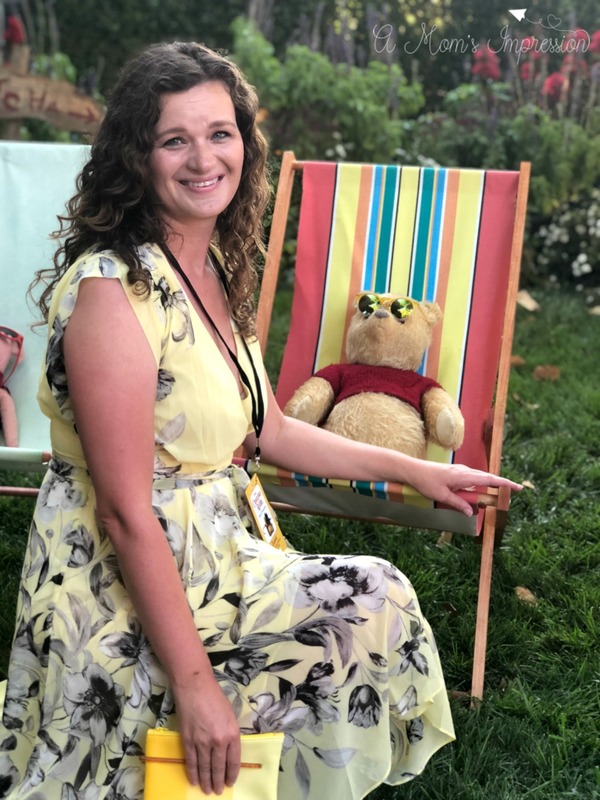 It was just the right touch for the classic Disney type of atmosphere you might expect for a Winnie the Pooh film. Finally, we headed to the Disney Theatre to screen the movie. This was the second time I was able to watch it and I enjoyed it even more than the first! 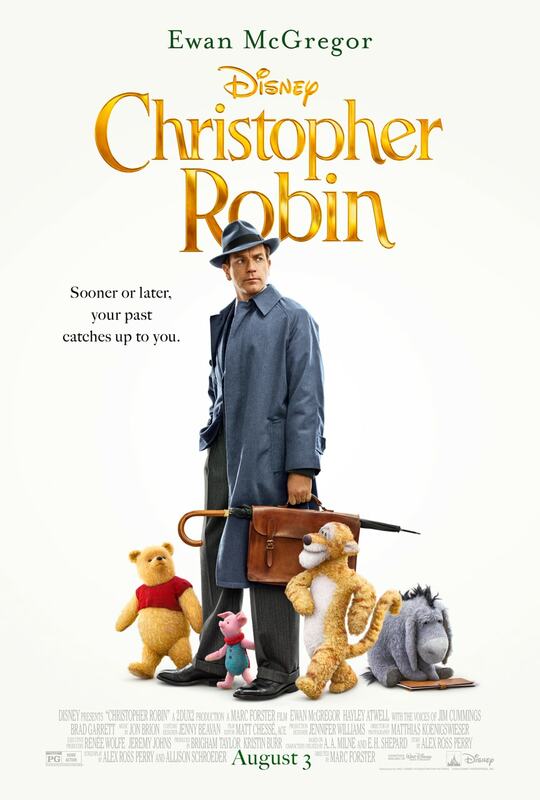 Be sure to check back on Friday for my full Christopher Robin Movie review! The new Christopher Robin Movie arrives in theatres everywhere on August 3, 2018! I invite you to check out our Facebook, Twitter, and Instagram channels where I posted more pictures and experiences from the red carpet. « Pre-Order Jurassic World: Fallen Kingdom Now!